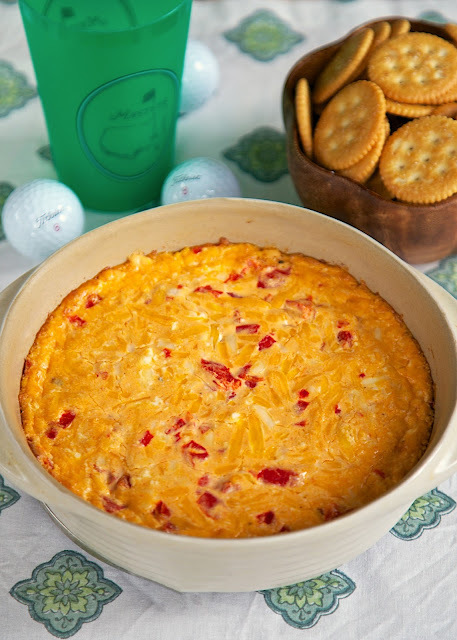 Baked Pimento Cheese Dip Recipe - perfect for The Masters. Cheddar, Parmesan, Roasted Red Peppers, Cream Cheese baked into an ooey, gooey cheesy dip. Great with Ritz cracker, celery or Fritos. You can't watch The Masters without having some Pimento Cheese and Egg Salad. They are staples at Augusta. You can't go to the tournament without have one of each! 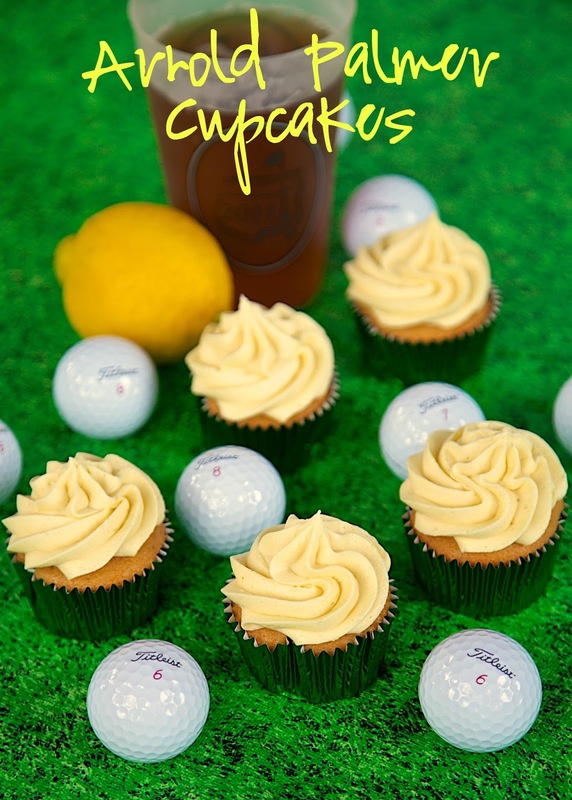 We have made versions of both on the blog (see below for links to the recipes). 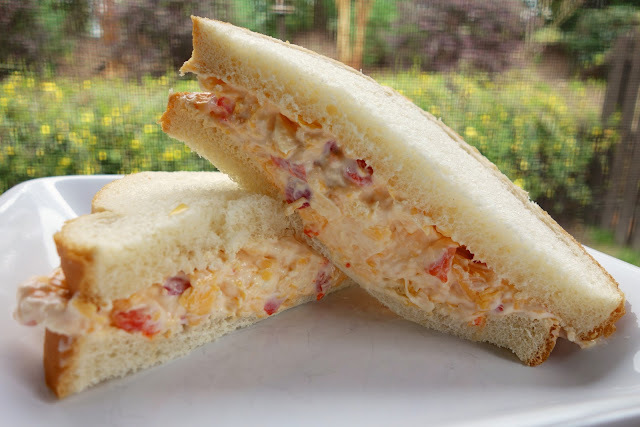 Pimento Cheese is a Southern staple. It is basically a combination of cheese, pimentos and mayonnaise. It can be used as a dip, spread, in sandwiches or on top of burgers. 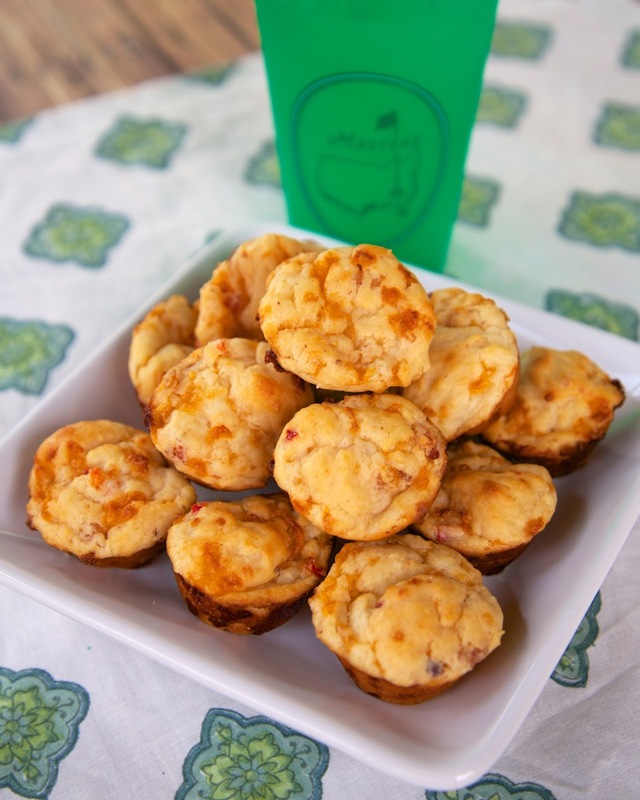 Last year I made some yummy Pimento Cheese Muffins for Masters week. They were incredibly delicious. This year I decided to turn our Masters Pimento Cheese recipe into a baked dip. This Baked Pimento Cheese Dip is super easy to make and it tastes GREAT! OMG! SO good. I really, really, really liked it. I actually liked it better hot than on a sandwich, but that is just me. I have an addiction to ooey, gooey, cheesy goodness. I used a jar of roasted red peppers in this Pimento Cheese Dip. The roasted red peppers are very similar to diced pimentos. They have a similar flavor. I just wanted the more robust flavor of the roasted red peppers for this dip. Feel free to mix up the cheeses in this recipe. I think Pepper Jack or Gouda would be nice. You can also add bacon and jalapeños! You can make this dip a day or two in advance and refrigerate until ready to bake. This Baked Pimento Cheese Dip is best served warm from the oven. We served this with some Ritz crackers, but you could also use some celery, chips. Drain jarred roasted red peppers and chop. In a bowl, combine all ingredients and mix until well combined. Spread into prepared pan. 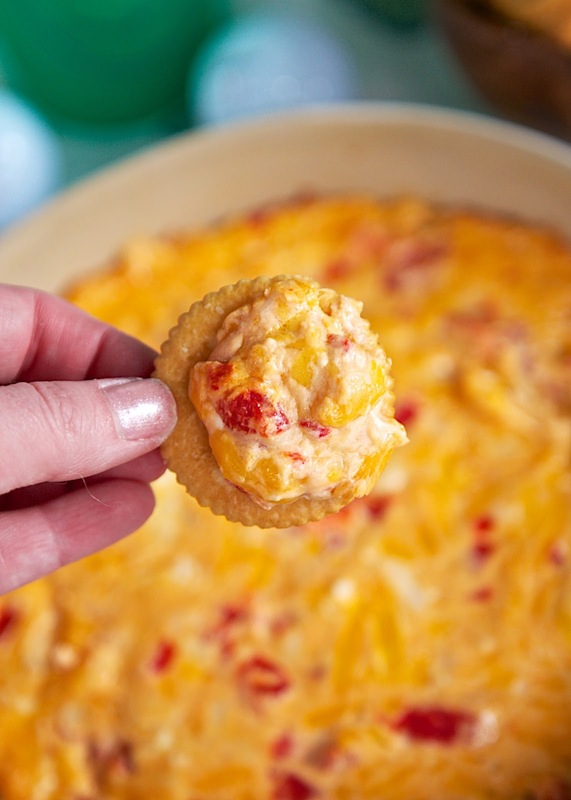 Where are the pimentos listed in the Baked Pimento Cheese Dip recipe? I see roasted red peppers, but no pimentos. Roasted Red Peppers are basically the same as pimentos but with more flavor. Just made this- so good. I used Wickle Hoagie & Sub Relish with the roasted red peppers for a little more zip. I love pimento cheese and I could just dive headfirst into that bowl. I use roasted red peppers in my recipe too...always, always!